With the DROIDX already receiving its official Gingerbread (Android 2.3) update, it’s time that we start looking towards the rest of the crew. It’s looking like the next in line to receive this major software upgrade is the DROID2 Global (nope, not the original DROID2) which could happen as soon as the end of this week – at least to members of a soak test anyway. 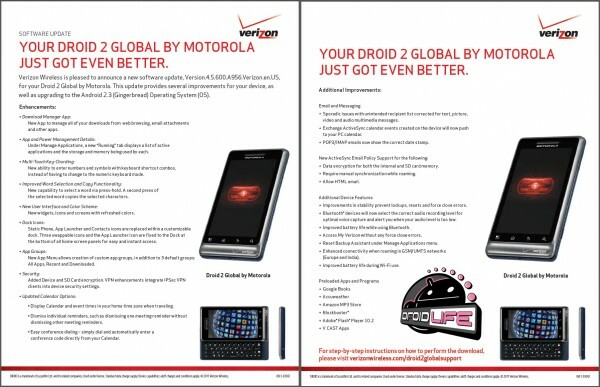 Verizon has already released all of their info on the upgrade and Motorola is inviting D2G members to test it, so now we’ll just be on the look out for an official date for mass consumption.